Good morning guys! 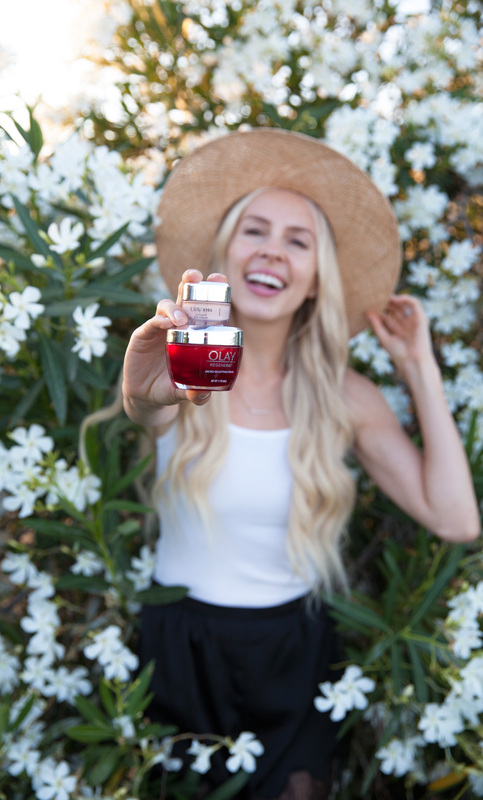 I’ve been so excited to put this post together and feeling giddy to finally share my Olay 28 Day Challenge journey and results with you. I’ll be the first to admit to being a beauty product junkie. If it’s new and exciting, it’s going into my shopping cart. Add being a blogger to that mix and I am left with a whole lot of products, and not enough time to truly time test each and every one. So, when I learned about the Olay 28 Day Challenge, I knew this was the perfect way for me to not only test some products I have been hearing amazing things about, but do it the right way. To give them enough time to do their magic, and let me tell you, the results of the Olay 28 Day Challenge sure do speak for themselves! The two products in my arsenal are the Olay Regenerist Micro Sculpting cream and the Olay Eyes Ultimate Eye Cream. I have fairly dry skin so my number one concern with any cream is, will it be ‘enough’ for me? 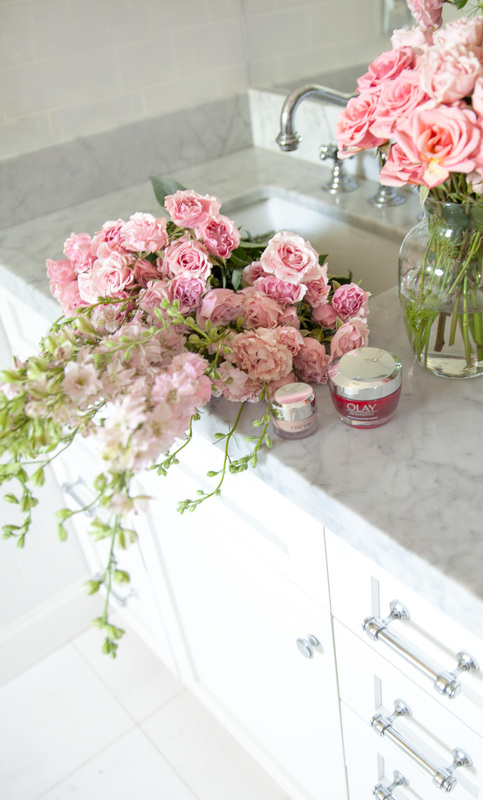 My absolute favorite thing about the Regenerist Micro Sculpting cream has been that you can use it both AM and PM, which mean under make-up or while catching your Zs and have it do the job of two products. It goes on so sheer for my day time routine, but also surprisingly really does the job of the heavy-duty moisture replenishment I crave at night. Honestly, just that one thing was enough for me, but around day 14 I began noticing a glow in my skin. Not an oily feel but a true healthy glow I have previously thought was only possible with good Instagram filters! I noticed myself wearing less and less foundation until, for the past week or so, I am just dabbing my face with a bit of SPF pressed powder over the cream. Hello game changer! Now, onto the eyes. Well, I am a working mom of two, so you can imagine the dark circle situation I had! 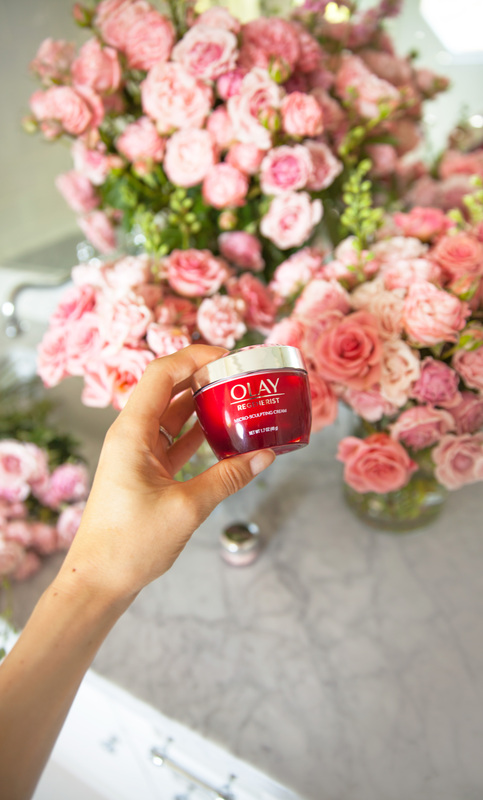 Olay Ultimate Eye Cream to the rescue! I’ll be totally honest, there are some products I find myself skeptical of, and under creams have been number one on that list. Perhaps this is because of my typical ‘5 applications and done’ trial runs but guys. This. One. Really. Works!! The cream itself has a bit of tint, which makes it perfect for day and it is thick enough to really make you feel like it’s doing a job! And trust me, with my usual 5 hour of sleep nights, I need all the help I can get! It’s a weird feeling to see your usually overflowing vanity so bare, and yet know that you’re getting everything you need for your beauty routine. Can you tell I’m a fan yet? 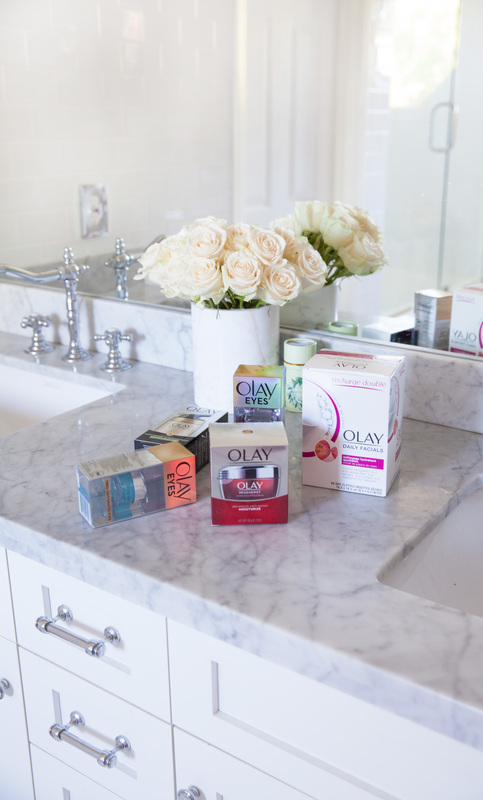 You can be sure I’ll keep using these goodies long past this Olay 28 day challenge and I encourage you to try it for yourself! And report back! Love nothing more than to discuss results together! 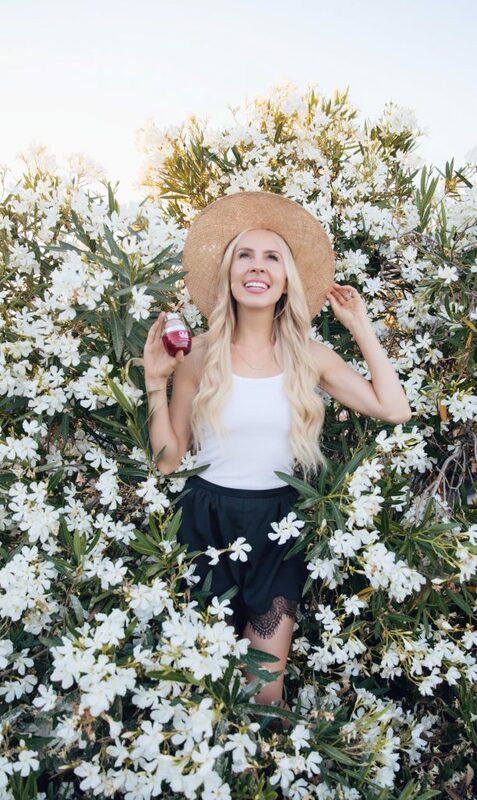 Thanks for following along my skin journey! You can take the first steps to glowing skin with same day shipping from Amazon Prime HERE.